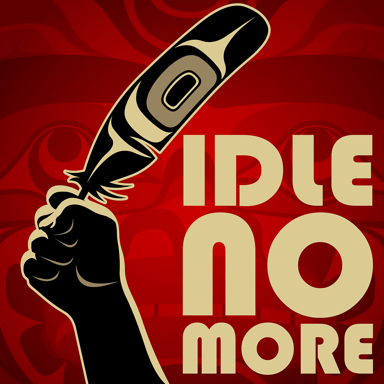 This channel is a compilation of videos, articles, and photos documenting Idle No More activities. 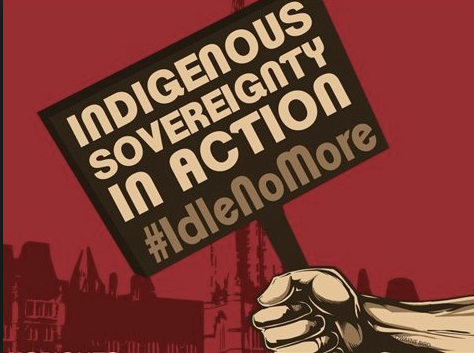 Idle No More is an ongoing movement of among aboriginal peoples and their non-aboriginal supporters across the world. The movement has inspired protests in towns and cities across Canada, the US, and other countries. Much of the protest is in reaction to the many pieces of legislation the Harper government has implemented that imposes on Aboriginals across Canada. Feel free to submit relevant content to this channel! An Idle No More protest in Montreal. Thanks to Pierre Chauvin for sharing the video. The Overpass Light Brigade brought their LED letters to help the Lac Courte Oreilles Tribe to protest proposed mining in Wisconsin. An American contribution to the Idle No More movement. Thanks yo Occupy Riverwest for sharing this video! Idle No More protests in Oakland on Jan. 5, 2013. Thanks to Michelle Steinberg for sharing this video! Idle No More protesters outside Toronto City Hall on Jan. 28, 2013. Thanks to Sola Dasilva for sharing this video! Idle No More performance outside City Hall in Toronto on Jan. 28, 2013. Thanks to Sola DaSilva for sharing his video! Idle No More Protest at Whistler, BC. Thanks to David Buzzard Photography for sharing this video!